With average and median home prices between $1.5 and $2 million, it can be hard to find Los Gatos homes for sale under $1,000,000. Look hard enough, though, and there’s often an opportunity – usually a condo, sometimes a townhouse, and once in awhile, a house on a lot. Ok, to be fair, if it’s a single family home on a piece of land, it may well be a tear down – what my daughter used to call a “dozer”, as in “bull dozer”. But it’s a starting point! What are the best odds for finding Los Gatos homes for sale under $1,000,000? There will be some strategy involved to find a lower priced home in Los Gatos 95030 or 95032. First, it’s important to understand the impact of the proximity to downtown and the role of schools. Find a home with Los Gatos High that’s in one of the official historic districts and you are likely to pay a premium for it! Go further out, and away from pristine Victorian homes from 100 years ago. and the prices will soften. Things will also improve if you consider smaller homes on smaller lots. A townhouse with Westmont or Leigh High may be in budget if it needs remodeling and updating. There are some really nice communities in town, such as Los Gatos Woods, where if you’re willing to do a little work you might be able to squeak by at under one million dollars. To improve the odds of success, you may want to concentrate on either condominiums or on properties in the 95032 zip code with Campbell Union High School District (Westmont or Leigh High). Or improve the odds better and go beyond the town’s boundaries and consider the Los Gatos Mountains (zip code 95033). With the latter, you’ll get much more home for your money. The downside, of course, is that your commute will be longer and you may have issues from living in the mountains. If you are over age 55 or if you aren’t planning on living there yourself – if it’s an investment property – you may want to think about buying a home in one of the seniors condo complexes. The Los Gatos Commons is nicely situated in the central or downtown Los Gatos area and as of this writing, in 2016, units can be purchased for under $700,000. Another tactic to employ is to watch for homes that have been on the market a long time and are hovering at 10% or so above your target price point. In every real estate market, no matter how hot, there are some houses, townhouses, and condominiums which are simply over-priced. I don’t suggest targeting more than about 10% over budget because “low-ball”offers usually serve to offend sellers and backfire on buyer’s good negotiating intentions. 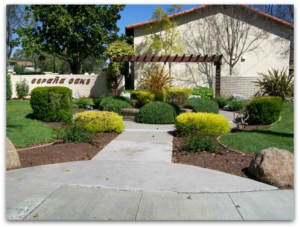 See all Los Gatos Homes $1 mil and under.